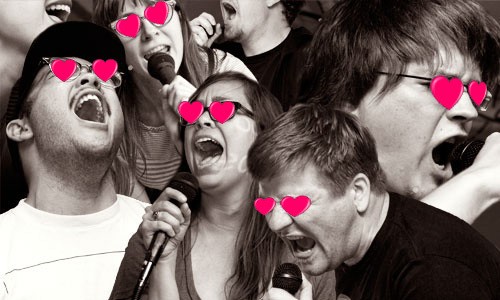 If you really love them, you’ll bring them to a basement in Chinatown and tell them, in song. If it doesn’t work out, well, we have songs for that too. Swap Meet is an aperiodic celebration of the cultural commons organized by The Royal Academy of Nuts + Bolts and Superbunker. We have a functionally-nonexistent music exchange, enthusiastically amateur karaoke, and an overall Betalevel open house with snacks and drinks for all. Take a look at our (relatively up-to-date) song list!